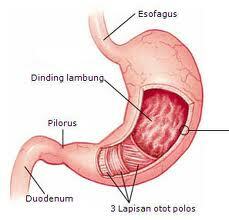 Eating too much, eating too fast, eating fatty foods and greasy foods often lead to indigestion. Moreover, too much consumption of caffeine, alcohol, and mental disorders such as fear or nervousness can also cause indigestion or abdominal pain. In this modern era, health experts still recommend ginger as an alternative remedy for complaints of nausea and vomiting. Ginger is a unique anti-nausea drugs than others, because it reacts directly to the stomach, while the other drugs work through the brain first. Fennel is useful to help address excess gas and keep the stability of stomach acid, and relieve intestinal cramps. Fennel leaves can also be used as a tea to benefit very much. Lime is one of the varieties of mint plants are beneficial for reducing stress, anxiety, sleep disorders, increase appetite, and alleviate indigestion. Lime is usually mixed with other ingredients that have a relaxing effect to aid the recovery process. Turmeric has many health benefits, as well as spices. In traditional medicine, turmeric is used mixed with honey and tamarind to help alleviate stomach pain. Another benefit is overcome liver dysfunction, arthritis, and regulate menstruation. Peppermint is used to relieve stomach aches and digestion. Peppermint can also help you cope with headaches, skin irritation, nausea caused by anxiety, diarrhea, menstrual cramps, and flatulence. In addition, peppermint capable of flexing the muscles to contract against gastrointestinal gas and increase the flow of bile for fat digestion. However, for patients with gastroesophageal reflux disease or GERD, avoid the use of peppermint.